The League Management Company LMC on Thursday at its corporate office in Abuja signed partnership agreements with 3 Radio stations based in Jos, Nasarawa and Kano states respectively. 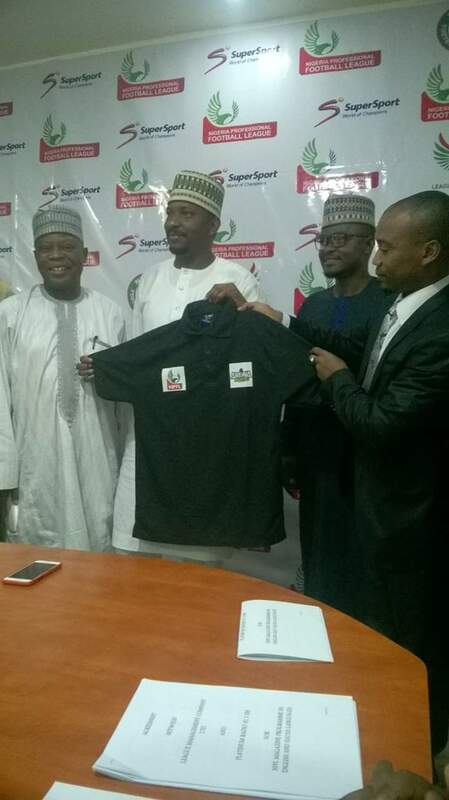 The ceremony which was performed by the Chairman of LMC Mallam Shehu Dikko unveiled the Radio stations namely Unity Radio of Jos, Platinium Radio Keffi and Arewa Radio Kano as amongst the newest partners of the league body. Dikko said the event was consistent with the LMC vision of taking football back to the people at the grassroot through Radio commentaries of live matches and other programmes which promote the league. He said the stations have shown great interests in promoting the league over the years and added that the partnership would further create jobs, attract sponsorship as well as increase the revenue streams of the NPFL. The LMC boss also said that the Radio stations would propagate the league at the grassroot using local languages and at the end the players, clubs and the league would become the highest beneficiaries.